Communion…What Do I Do Now? The Lord’s Supper is such a solemn time during the worship service each Sunday. The emblems are central to the life of every believer. Jesus said that unless we eat his flesh and drink his blood we have no life in us and no part with him (John 6). This is probably the most important segment of our Sunday morning assembly. During this ritual, however, there is quite a bit of waiting. We wait and listen while the person says a few words to remind us why we participate. We wait for the tray to get to us each time it is passed around. We wait for everyone else to partake after us. So what should we be doing during this time? Doesn’t this sound like we are to sit there during those waiting times and rake ourselves over the coals of guilt as we remind ourselves of the myriad of ways we fall short of being like Jesus? It does if we take this verse out of context. What was going on in Corinth that caused Paul to write this letter? The church there was full of immorality and division. In fact, the division in the church is what Paul begins the letter with addressing. In chapter 11, he once again addresses their division as an introduction to the verses we so often read to prepare for taking the Lord’s Supper. Did you catch that? It is sarcasm. Paul thinks division within the church is a severe problem. In this division, the communion they partake of is not the Lord’s Supper. You cannot partake of this meal in division without judgment from God. In verse 29, he warns against eating and drinking without discerning the body. What does this mean? 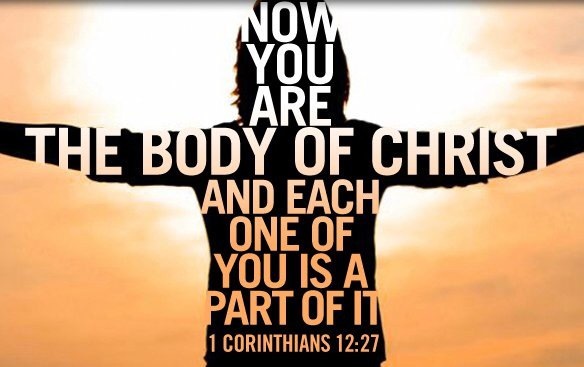 He is referring to the body of Christ – the church. Then, in verses 33-34 he encourages them to wait for one another. He’s trying to get them to practice unity. So, what are we to examine within ourselves while we wait? We are to see if we have some division within us concerning our brothers and sisters in the church. Do you have something against a brother? Does a sister have something against you? These divisions cause a church to be weak and sick (1 Corinthians 11:30). Maybe we should go back to practicing what Jesus commanded in the sermon on the mount. What if the church was once again concerned with the ministry of reconciliation that we are called to administer (2 Corinthians 5:18-19)? Next time you’re sitting and waiting during communion, pray for yourself and your relationships with your brothers and sisters in the Lord. Resolve to do your part to make reconciliation. Don’t wait for them to act – you be the mature follower of Jesus and make the first move. Then we will watch the church grow in strength and health as the church becomes even more unified in Jesus as one body. This will be an answer to Jesus’ prayer in John 17. This entry was posted on Thursday, September 29th, 2016 at 4:57 pm	and tagged with body, church, communion, confession, forgiveness, jesus, lord's supper, reconciliation, sin, unity and posted in berean, Church growth, doctrine, Uncategorized. You can follow any responses to this entry through the RSS 2.0 feed.